Boomers who are looking for a retirement location that offers outdoor recreation and a four-season climate should look no further than Colorado and Utah. Forget about Florida or California as your ideal retirement location. Colorado and Utah are great states for retirement. Both states have been highly ranked as some of the best places to retire over the years due to their high quality healthcare and low crime rates. These mountain states are also home to a variety of active adult communities that cater to the Baby Boomer lifestyle. While Colorado and Utah share some similarities like having scenic nature views, cooler climates, and plenty of outdoor recreation, they also have a few differences that can impact your decision on where to retiree. We’ll take a closer look to see how both of these neighboring states stack up against each other when it comes to being a top retirement location for retirees. Retirees looking for a change of weather from the typical year-round Florida heat can find Colorado and Utah to be pleasing mountain states with varied climates. 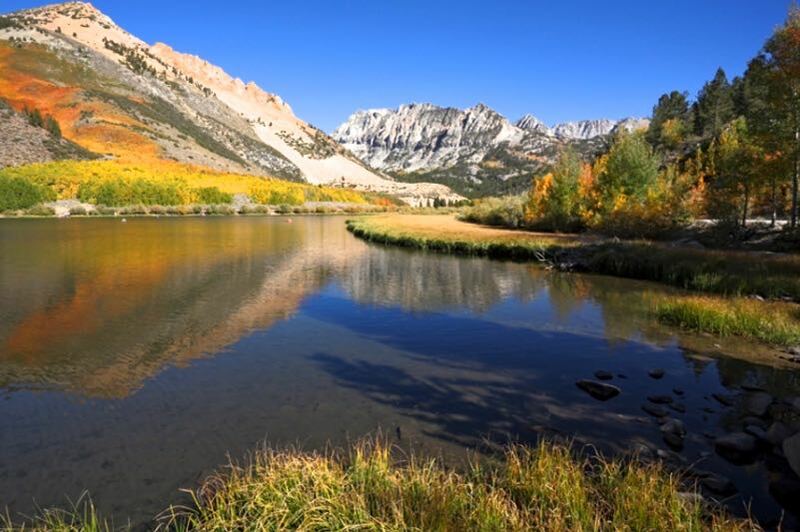 Utah has four distinct seasons with a mild dry, desert climate in most parts of the state. Sometimes rain, snow, or sunshine can happen all in one day during the spring months. Utah’s mountains also offer a variety of temperatures from hot summer months to cold and snowy winters. During the winter months, Utah has some of the best mountains for skiing and snowboarding as well. Colorado’s extreme variation in climate is perfect for retirees who want to enjoy all of the seasons as well as all of its outdoor activities, from skiing in the mountains to playing a round of golf on a lush 18-hole course. Winters are typically mild and summers are hot in the plains with occasional afternoon thunderstorms. Mountain regions in Colorado are generally cool with snow and the humidity is relatively low. Retirees also love that Colorado gets plenty of sunshine throughout the year. Taxes are one of the biggest expenses people face in retirement and it’s an important factor when deciding on where to retire. Colorado has a lower-than-average tax burden, which is perfect for retirees living on a fixed budget. Colorado’s state and local taxes are below the national average and there is no tax on pension income up to $24,000. Utah on the other hand, does impose a tax on Social Security benefits. Pension income and income from retirement accounts are also subject to the state’s 5% flat income tax, but retirees can file a claim that offers small credits against those taxes. Baby Boomers want access to the best medical care that’s close to home. Luckily, Colorado and Utah earned top marks for having high quality healthcare in each state. In Colorado Springs, retirees have access to one of the country’s leading cardiovascular hospitals, and Utah has a variety of regionally ranked hospitals throughout the Salt Lake City metro area. Overall, the cost of living in Utah is 2% below the national average while Colorado’s cost of living is higher than 28 other states. When comparing cities in both states, Denver and Salt Lake City essentially have the same cost of living. Cities like Colorado Springs and Leadville have a lower cost of living, which are 3% lower than average with median home costs just under $200,000. Park City, UT, home to the Sundance Film Festival, is probably the most expensive city in Utah. This posh ski town has a cost of living 73% higher than the national average with median home costs of more than $600,000, but fortunately the rest of Utah is reasonably affordable for many retirees. Choosing a safe place to live is also a growing concern for many Baby Boomers. Colorado ranked second and Utah ranked third for low crime rates on Bankrate’s “Best & Worst States to Retire” in 2015. Utah and Colorado have charming small cities, college towns, and beautiful outdoor landscapes that are perfect for active adults who want to live in a safe and serene environment. Retirees can live in friendly communities throughout each state and enjoy their golden years at ease. There’s no comparison to the myriad of outdoor recreation and activities available in Colorado and Utah. Both states have beautiful natural open spaces, trails, mountains, and attractions. The rugged scene is perfect for active adults who love nature and like skiing, hiking, fishing, kayaking, and mountain biking. They're both an outdoor adventurer’s paradise that leaves little to the imagination. Retirees young at heart can visit the many parks, canyons, rivers, and mountains for scenic hikes or casual walks along lush trails to get breathtaking views of the natural surroundings. From the Rocky Mountains in Colorado to The Mighty 5 national parks in Utah, Baby Boomers are sure to find their perfect outdoor adventure in Utah or Colorado.